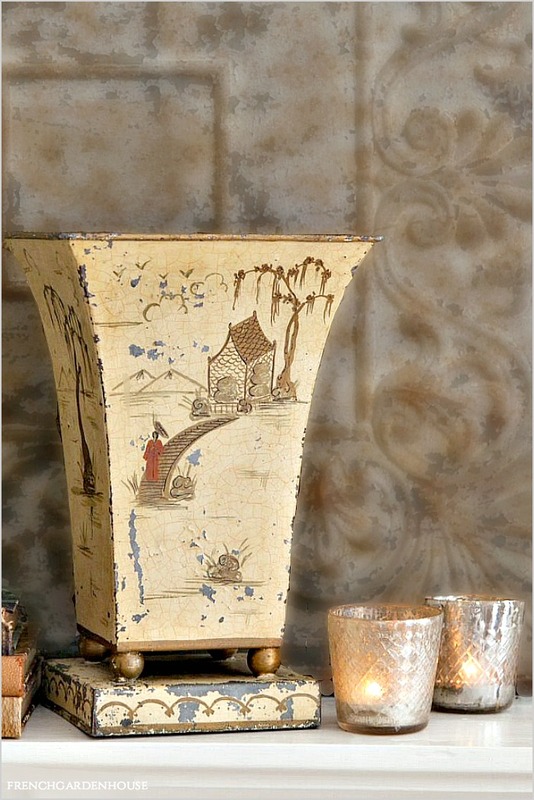 Hand painted early French tôle urn, painted by hand in the Chinoiserie style, absolutely fabulous to display with your collection. Decorated on all sides with paint and gilt Oriental motifs. 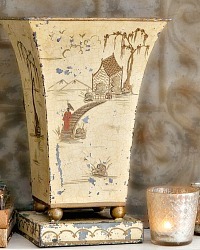 Original paint colors of Cream, Gold and Black, the design is typical of the late 1880's with trees, birds, mountains and a figure in robes on a bridge. In as found condition, areas of loss as shown consistent with age, original red paint inside has faded. 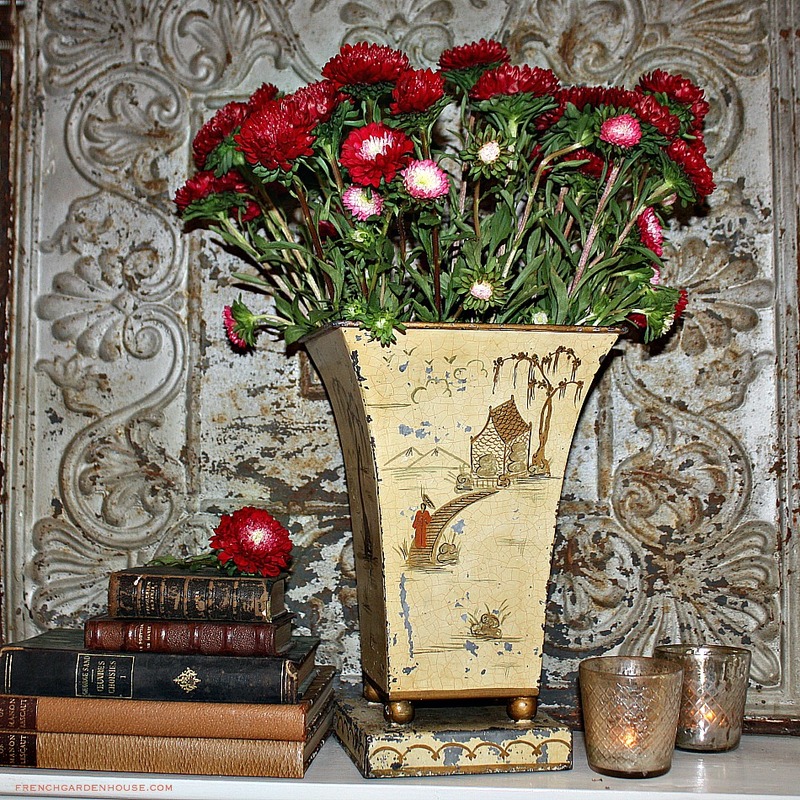 A wonderful decorative cachepot, display a favorite seasonal plant or insert a glass liner to hold fresh flowers. Measures 10-3/4" h x 7-1/4" x 7-1/4".